In the latest release (2.1), we've introduced a new feature for those who want a more dynamic social sharing experience for their Smart Podcast Player and Smart Track Players. Now you can customize the social sharing experience for your listeners! You'll find this at the bottom of both shortcode builders. 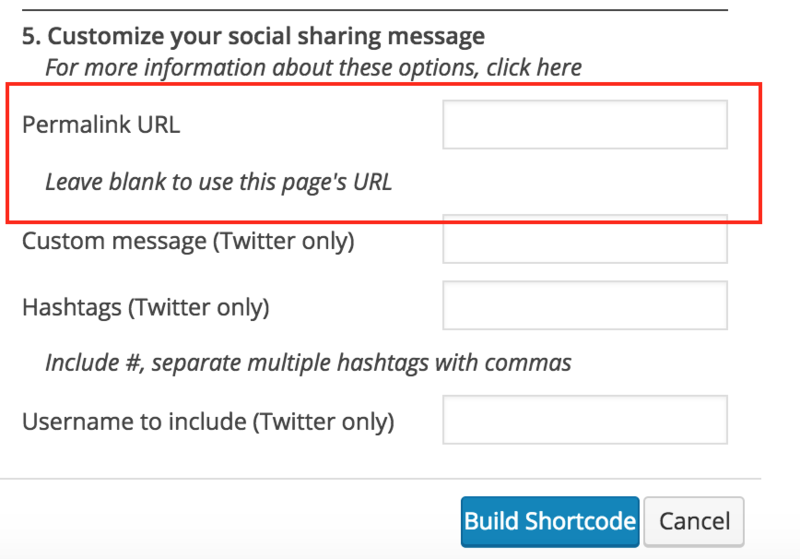 Use this box to add a custom URL in to the social sharing pop-ups. 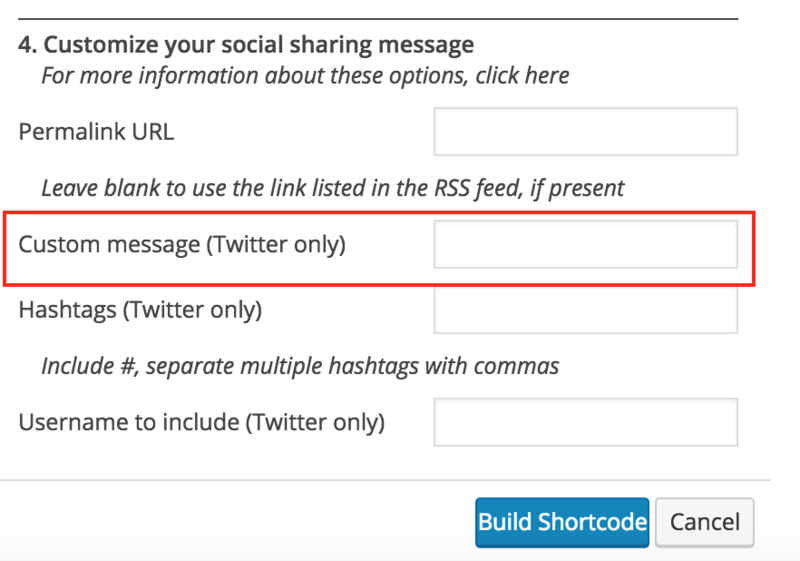 Put in the link you want your users to share on social media. By default, the Smart Podcast Player (the full player) checks your RSS feed to see if a link is already included. Some podcast hosts give you the option to add a link into your feed (Soundcloud, Blubrry PowerPress plugin), but others don't (Buzzsprout). 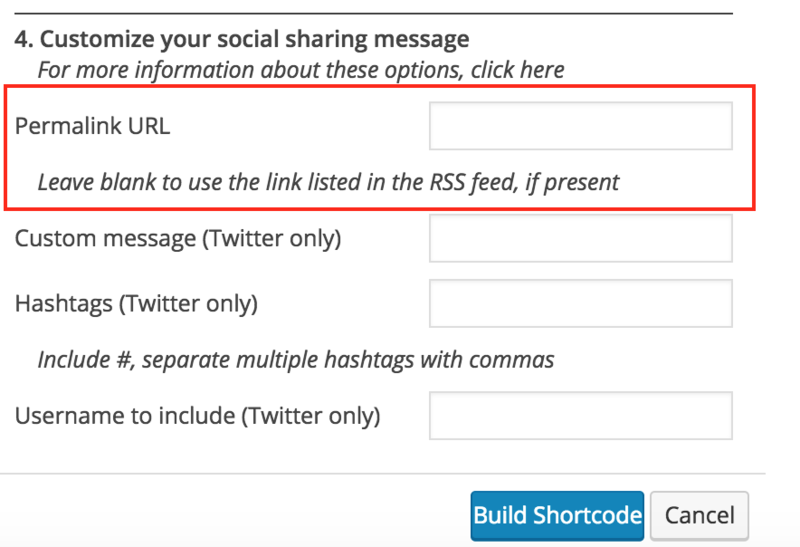 Entering a URL here will override the link in your RSS feed. The best link to use in the full Smart Podcast Player is the link back to your main podcast page. For the Smart Track Player, the Permalink URL works a bit differently. Rather than using the RSS feed URL, by default the player will include the URL of the page that the player is on. If you want to share a different URL on social media, enter it here. 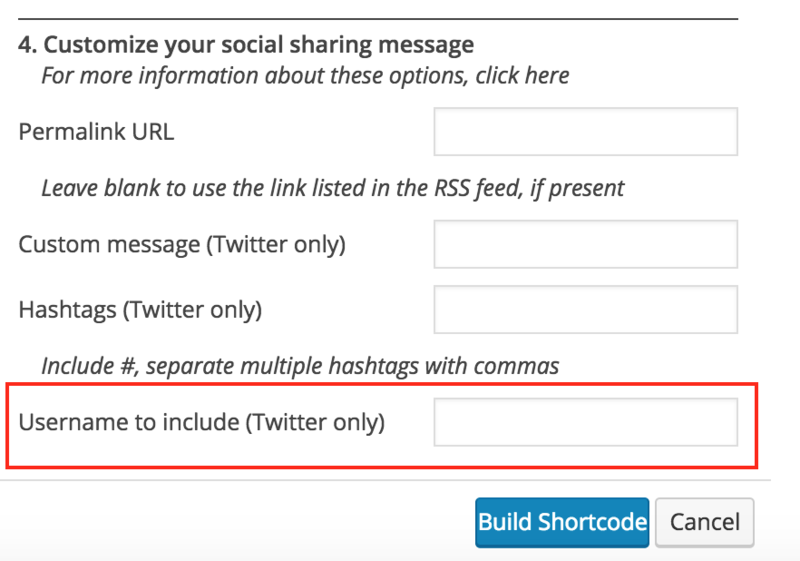 For Twitter sharing only, you can add a custom message that is auto-populated in the shared tweet when a user clicks on the Twitter share. But please make sure you don't include more than 140 characters. Twitter has a limit! Twitter also automatically shortens your URL (which is currently at 23 characters, but Twitter is known for changing that). Remember to leave space for the URL and any hashtags that you've included as well. If there is no custom message, the episode's title is added. Again, like the custom message, hashtags are for Twitter only. And now you can add more than one! Lastly, you can customize your social sharing by including a username (for Twitter only).